Before we begin though, you may need a more formal introduction to JUnit 5 (nicknamed Jupiter since it’s the 5th planet from the Sun). Luckily, I have a YouTube Video Tutorial which covers just that. Although I mention the JUnit M1 release, everything in there still applies (only exception being expectThrows method is deprecated in favor of assertThrows; I have updated its GitHub project for M4 and a video annotation was added). JUnit 5 has an extensible architecture which can be taken advantage of via the @ExtendWith annotation. We’re no longer limited in using just one extension on a Test Class as was the case with JUnit 4 (think @Rule/@ClassRule) but rather, as many as needed. One such extension point is the ParameterResolver which allows the possibility to dynamically resolve parameters at runtime; something that was not possible with earlier versions of JUnit. Spring has implemented the ParameterResolver Interface and other JUnit Jupiter extension APIs via Class SpringExtension. In short, the SpringExtension.class integrates the Spring TestContext Framework into JUnit 5’s Jupiter programming model. It serves as a ParameterResolver implementation which resolves the requested parameter dependency against Springs ApplicationContext. @SpringBootTest is my new preferred way to run an Integration Test in a Spring Boot Environment. It’s packed with fairy dust and If you need a more in depth explanation, then check out my post: Spring Boot Integration Testing (Slice and Dice). Notice all the new Dependency Injection taking place in the Constructor, @BeforeEach and the @Test method input parameter? That’s new and awesome! which launches JUnit 5 tests on top of JUnit 4. This is a small workaround that is needed until built in support is available. Use JitPack to get a hold of the jar. I’ve made it easy for you. 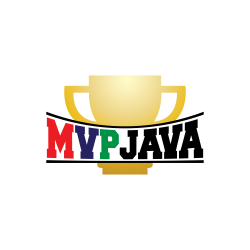 You can get the working code from MVP Java’s GitHub account (I opted for JitPack via maven). Yes! Lets add another extension and start using the Parameter Resolving capabilities of the MockitoExtension. Here’s an example which uses both Extensions. How cool is that!? Now your ready to get ahead of the curve. Happy testing. Want To See It In Action via YouTube Video Tutorial? Shout out to Sam Brannen who has been instrumental in integrating Spring with JUnit and Marc Philippe for developing the Mockito Extension.